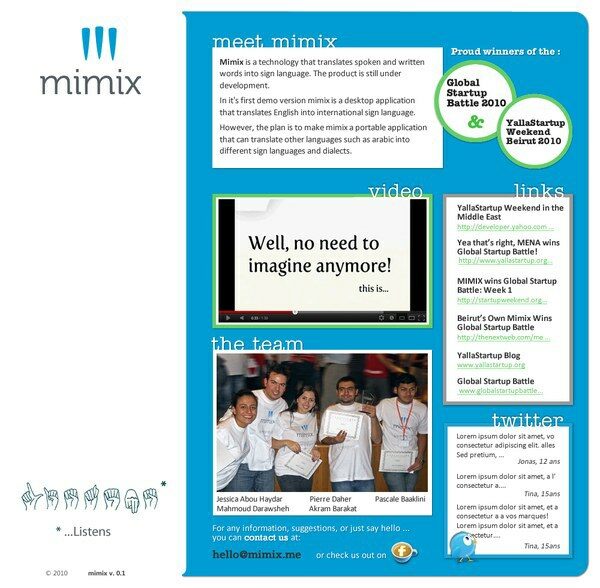 Mimix is an Android application that turns words into sign languages. is an online system that translates spoken and written words into sign language. This microsite engaes and informs users about the process and evolution of the project.